The Christmas School Holidays is the perfect time to adopt a pet says the Animal Welfare League (AWL) New South Wales. The message that ‘pets aren’t for Christmas’ has put a lot of people off adopting a domestic animal at this time of year. However, AWL NSW believes the Christmas school holiday’s mark a great time of year to adopt a pet as you’re most likely off work with the kids, so you’ll have extra time you’ll need to help your pet settle in and the kids will have a new playmate to keep them busy. If you have other pets in your household already, it is very important you take it slowly and introduce the new and resident pet/s gradually. Separate your pets for the first few days, supervise the first meeting and spend extra time with your resident pet to ensure they feel secure and unthreatened. First impressions count when it comes to animal introductions! Adopting a pet from a shelter over the Christmas school holiday’s also means you are saving the life of an animal and enabling an opening for another animal in need to come into care. AWL NSW has many dogs, cats, puppies and kittens looking for new homes right now, all of which have been desexed, vaccinated, microchipped and temperament tested (so you will be matched with the perfect pet for your lifestyle). Never buy a pet as a surprise gift or on impulse – ensure all members of the household are involved. Remember, puppies and kittens don’t stay small for long – make sure you’re ready for the full growth potential of your adopted pet, and their personality and physical traits suit your lifestyle. Be prepared for a life-long commitment – cats and dogs can live up to 20 years, and along with bringing joy and love into your life, they also bring vet bills, food costs and need your attention. 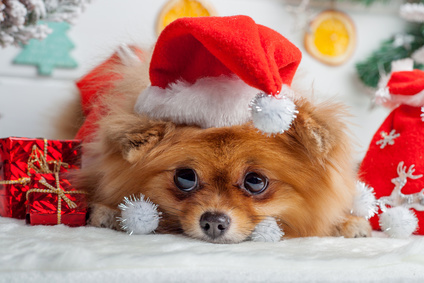 Christmas Eve is not the best time – the noise and bustle of Christmas Day can stress your new pet. Best to adopt now to get them settled in prior to Christmas, or wait until Boxing Day. To make it fun for the kids – why not wrap up pet toys, bowls and bedding for the kids to unwrap on Christmas Day, and then visit a Shelter after Christmas to bring your new family member home. Avoid buying a pet online – as this is a key distribution source for puppy farms. Best to adopt from a shelter. For more information on the cats, kittens, dogs or puppies available for adoption visit the AWL NSW adoption pages at www.awlnsw.com.au or call (02) 8899 3333. AWL NSW Shelters are open 7 days a week between 10.00am and 3.30pm, except Christmas and New Year’s Day. They also have regional branches all around NSW.